The next flagship device from embattled HTC – codenamed M8 – that we first reported on back in July, has had its purported specs leak. Serial news breaker @evleaks is claiming to have the low down on the main specifications, and they are unsurprisingly high-end, though nothing that we haven’t seen in other flagship devices. 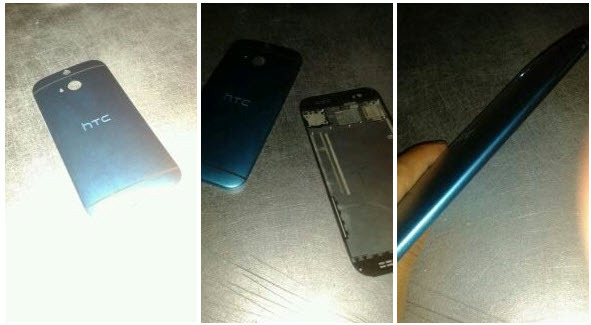 In previously seen photos, the M8 looks very similar to the current HTC One, though the current leaks suggest a screen bump to 5″ from the 4.7″ on the One. Could the M8 be the HTC One 2? Do have a HTC One? How do you like it? Let us know in the comments! No next-gen silicon from qualcomm is somewhat disappointing for a phone coming out next year... am i alone? Hang on, the 800s are only just landing in actual devices now. Don't expect a top-end next-gen follow up to ship until mid yearish. Having bought the M8 this year, I say WOW, the Snapdragon 801 even though isn't a game changer, but it is FAST, no doubt. Should last me 2 years, and I'm glad I bought it. Yeah, I was hoping this leak will also reveal the next big thing in mobile SoCs. Oh well, guess we'll wait for the CES. If they removed their awful capacitive keys and switched to onscreen, they might be able to retain the size while keeping the boomsound speakers top and bottom. Why are the Android manufacturers so anti Tegra 4?